Over the weekend, Google pushed a behind-the-scenes update to the Google Play Store. Now, once the update hits your account, you will see a new Free App of the Week section in the store. Now you will be able to download a normally pay-to-play app at no charge. It is certainly not a new concept but it is great to see Google getting on board with such programs. Apple has had this for some time now while Amazon likely has the most aggressive free app model with their Amazon Underground. There you can not only get apps for free that you normally have to pay for but also get free in-app purchases. The Google offer does not give you free in-app purchases. Those are still on you. 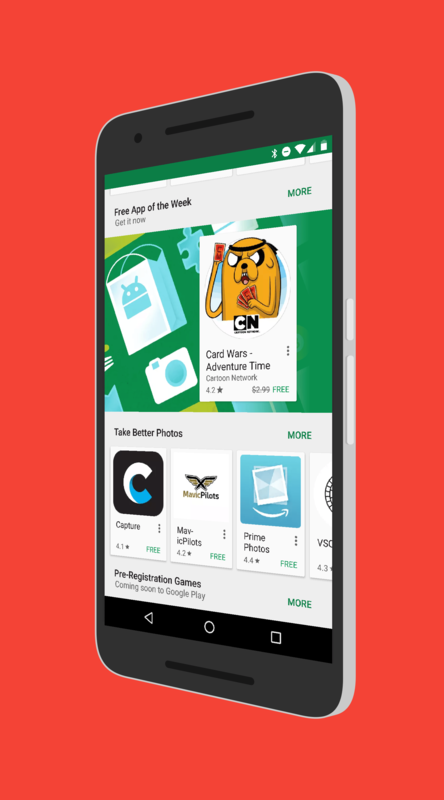 This week’s free app is Card Wars from Cartoon Network. Normally it is $2.99 but for the rest of this week, it is free. the US, I would recommend keeping an eye on the Google Play Store over the coming weeks to see if it rolls out to your country.